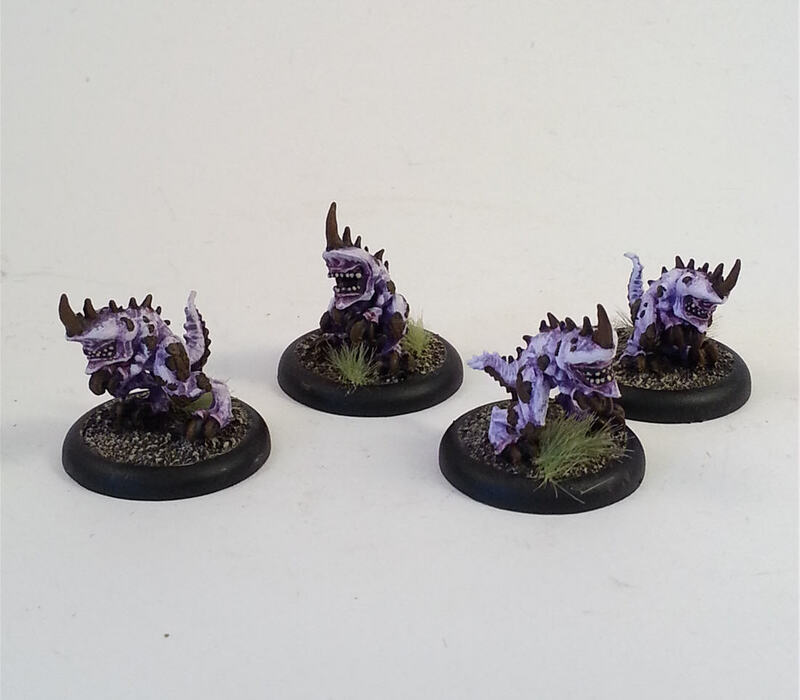 Legio Minimus: Warmachine Starter Sets Part 4 of 4 - Legion of Everblight! Warmachine Starter Sets Part 4 of 4 - Legion of Everblight! So after about 2 months of plugging away at these four sets on and off I am finally finished. 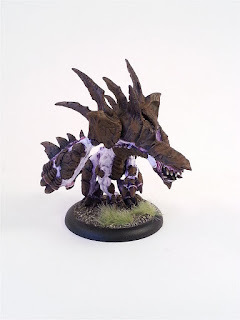 As I mentioned in my last post the Horde side was considerably more fun then the Warmachine simply because their minis are heads and tails better. 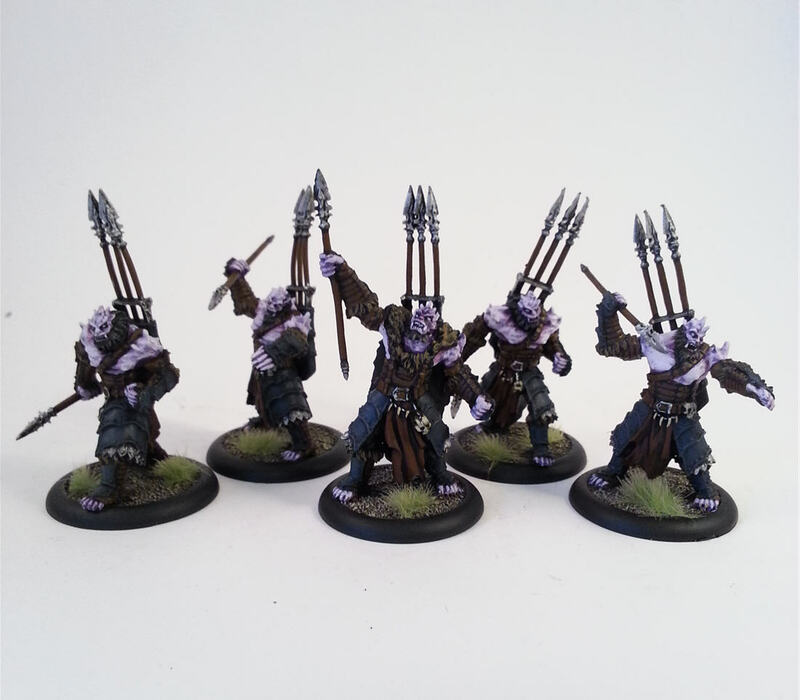 I really liked painting the Legion miniatures and I think if I was going to play a second faction after Trolls it would probably be them. 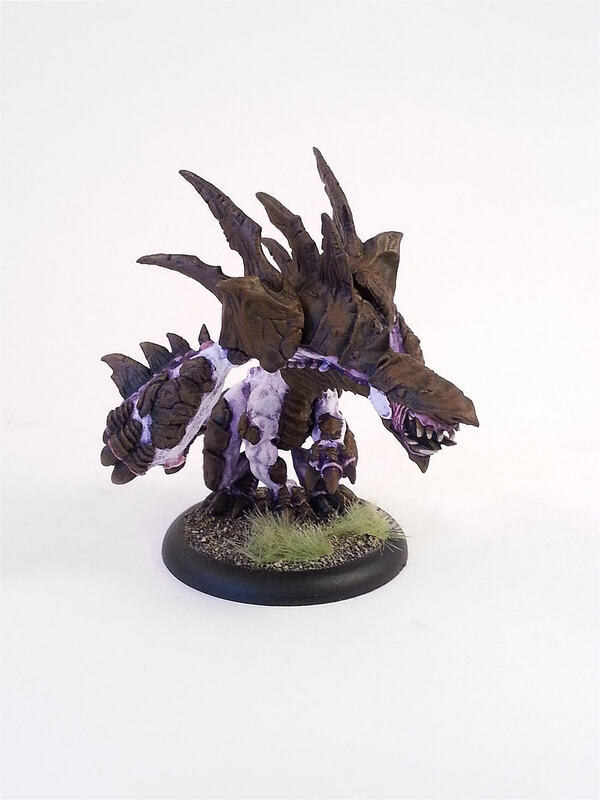 They have super cool looking beasts, really neat solo characters and a few decent looking infantry models. My fave models of the entire lot are the Warspears. Other then the super bent spears which I tried to bend back into place they are the nicest looking heavy infantry out there. Also really fun to paint. 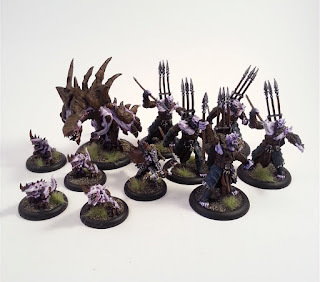 Next Up: I have been plugging away at my Troll army as well as in the process of adding some new units for the Eldar since they are being released. I am also going to a big tournament this weekend and there will be a write up next week of the event. Trollbloods WIP...Dire and Pyre Trolls! 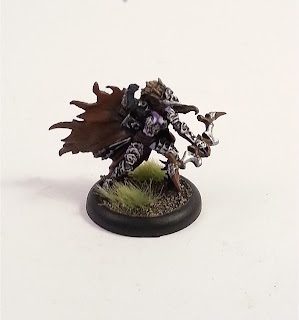 Warmachine Starter Sets Part 2 of 4 - Menoth! Warmachine Starter Sets Part 1 of 4 - Khador! New Project - Trollbloods Army!